The Boston Celtics were something of the bridesmaid in the Eastern Conference last season and will be looking to take the next step this year. 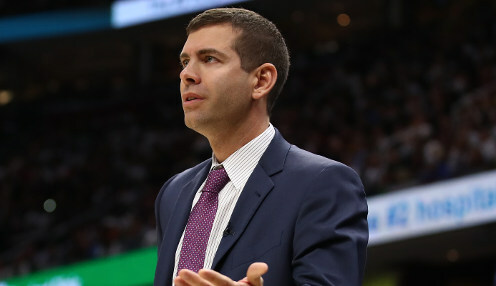 Second in the Atlantic Division, with the second best record in the Eastern Conference, in each case behind the Toronto Raptors, the Celtics also fell at the final hurdle in the Eastern Conference as they lost to the Cleveland Cavaliers in the Conference Finals. Now with LeBron James having left Cleveland for the Los Angeles Lakers and the Raptors inexplicable having traded away their best player in DeMar DeRozan, Boston will look to take advantage and make the 2018-19 season their year. Toronto were swept by the Cavaliers and their response was to fire head coach Dwane Casey and trade DeRozan to the San Antonio Spurs for Kawhi Leonard. This, after the Raptors won 59 games and finished four games ahead of the Celtics in the Atlantic Division and the overall standings. Nick Nurse takes over as head coach, but unless he leads Toronto deeper into the postseason there will be serious questions asked of the decisions that the Raptors made. Casey, who was named coach of the year for those 59 victories, landed on his feet with the Detroit Pistons and in their 13th game of the season, Detroit will travel to Toronto in one of those games the neutrals will be watching. The Pistons finished ninth in the Eastern Conference and will be looking to take their own next step, this one a baby one of making the postseason. The Celtics are 15.00 to win the NBA Championship with the Raptors 11.00.